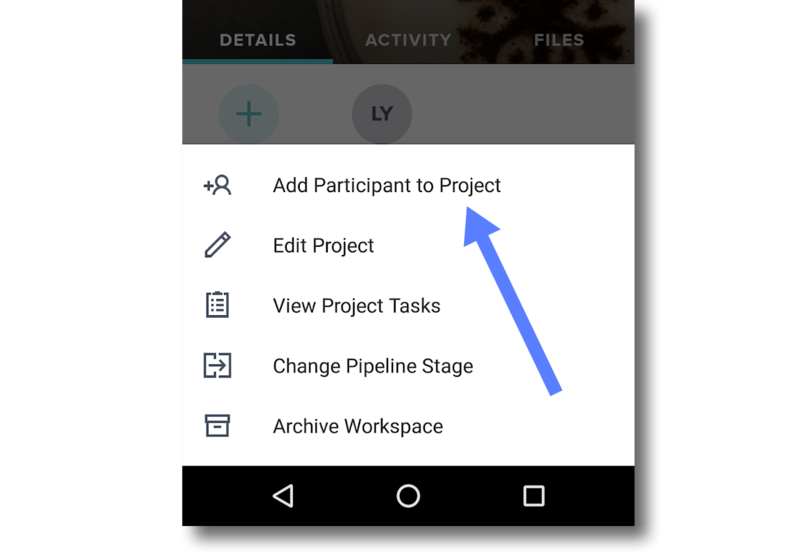 To communicate with your clients and vendors via the Activity Feed or send them any type of file, you'll first need to add the relevant parties to your Workspace as participants—which you can also do via HoneyBook's iOS or Android app! Once you add their email address and other contact info, the new participant will receive all Workspace messages and will have full access to the files and communication within the Workspace. PLEASE NOTE: All participants within a Workspace will receive all communication that occurs within that Workspace. 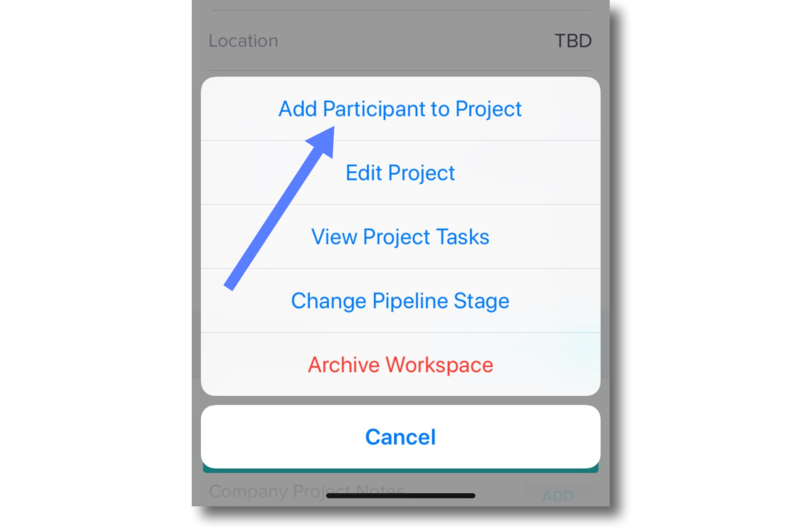 If you need to create separate lines of communication for separate participants, you'll need to create an additional Workspace within the Project, add the appropriate participants to the new Workspace, and send any private communication there. 1. Navigate to the Project that requires a new participant. 3. Tap Add Participant to Project. 4. Select whether you're adding a Person or a Business. 5. Enter the participant's contact information and tap Save.